Welcome to All Events and Welcome to Puerto Rico! I am lucky to say I live in the most beautiful town of Puerto Rico – Rincon. My town surrounds me with the gifts of the ocean, the sun and many celebrations. 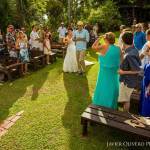 I discovered my passion for planning and coordinating events when I planned my own wedding. It was a year of planning that I enjoyed so much and I learned the importance of making every event unique so that it reflects each person’s individual style. What I love about being an event planner and coordinator is the opportunity to meet people from different cultures, personalities and families; blessing me with the development of new friends and relations along the way. One of the most rewarding parts of being an event planner is being able to make people’s dreams come true and being a part of some of the most important moments of their lives. Seeing the smiles on my bride’s faces make me smile and makes me proud of what I do. I identify myself with every event I am a part of and I embrace it as if it was my own. Before becoming and event planner I worked in the culinary arts and hospitality services for over 10 years and I hold a culinary degree from the School of Hotel and Culinary Arts at the University of Mayaguez Puerto Rico. This hands-on, behind the scenes experience gives me a unique, in depth perspective on how to make an event a success. When I am not planning events and working weddings I am passionate about my family, my three beautiful children and my new grandson Luian. Next to my family, my dogs are my heart and I actively volunteer and support our local animal rescue organizations. I love to travel, cook and enjoy our gorgeous beaches. But most importantly, I love to make dream events come true!